Sensational Sydney - To Tire of Sydney, is to Tire of Life. "To Tire of Sydney, is to Tire of Life." "When a man is tired of Sydney, he is tired of life; for there is in Sydney all that life can afford." He wouldn’t have been far wrong for this city fully deserves its reputation as one of the great cities of the world. 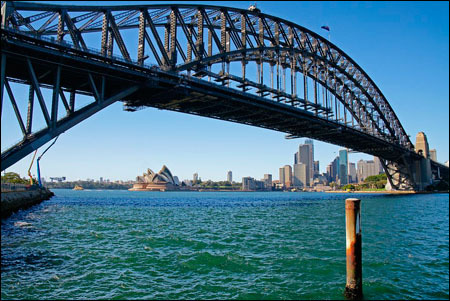 The obvious focal point for the tourist is Circular Quay – not heard of it? It’s the transport hub of the city with rail, road, and ferry all coming together. Look to the right and you see the famous Opera House, look to the left and you see the Harbour Bridge. 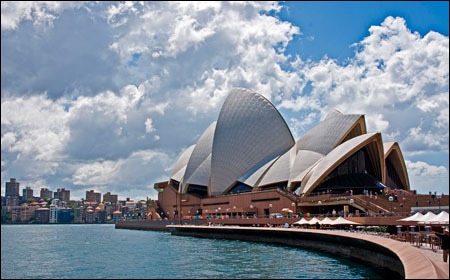 The Opera House was built between 1959 and 1973 to a design by the Danish architect Jorn Utzon. He resigned in 1966 and completion of the project was placed in other hands. The interior is actually a totally separate construction from the outer shell and can be seen on the regular guided tours. It’s a fabulous venue to see a concert or an opera and the pre- show dinner adds to the enjoyment if the budget stretches that far. Sydney Harbour Bridge dominates every viewpoint around the harbour and can be seen from miles away in all directions. It opened in 1932 and is 440 feet from the top of the arch to water level. One of the most overused words in the English language is ‘unique’ but for an experience that is truly unique you can climb up to the top of the bridge, cross to the other arch, and descend down to ground level. Including the introduction and safety briefing allow about 3.5 hours. You wear dinky little one- piece suits, nothing is allowed to be carried (including cameras), and you’re fastened to a running safety harness from ground- to- ground. Physically challenging? Well, I was proceeded by an 84 year old grandmother and she coped as well as anyone. A word of warning – do not be tempted to take a few sips of ‘dutch courage’ because you’re breathalysed before the start and if you fail – no climb! The climb is not cheap, but for a much less modest cost you can climb the south east tower (pylon) of the bridge with a view almost as good as the bridge climb itself. The area below the bridge is The Rocks where Sydney started. Well worth spending time here among the old buildings, the shopping, the eating, and the liquid refreshment. Talking of shopping, Sydney is not lacking. The wonderful Queen Victoria Building built in 1898 has 5 galleried floors and the shops here are classy. A good work out for any credit card. 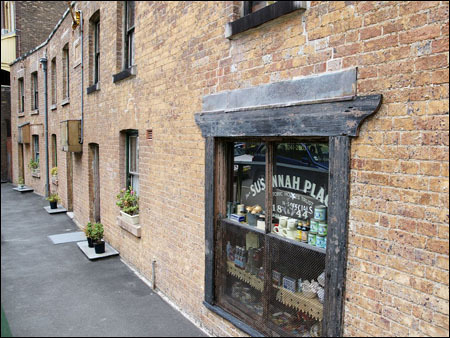 Also try the Strand Arcade which dates back to 1891. A totally different experience is Paddington market – every Saturday from 10am – 200 stalls selling just about everything including things you didn’t even know you wanted! The other market to visit is the Fish Market. Beside its wholesale operation there are great arrays of retail outlets. At some of these you select your fish, it’s cooked for you there and then, and you take it outside to eat in the sunshine overlooking the quay. Don’t be surprised if you find a friendly pelican at your side waiting to be fed! A great way to have a quick whistle stop tour of the main attractions is the ever present open-top bus tour. There are in fact two hop on/hop off routes, one around the city centre and the other route out to Bondi Beach then back along the south coast of the harbour. Around the central route be sure to visit the Botanical Gardens and see all the fruit bats hanging in the trees above your head. The Art Gallery of New South Wales is near the route and worth a visit although the name carved on the exterior ,”Michael Angelo”, is probably not the way the great man would have spelt his own name. Further on the ride you come to Sydney’s second harbour named after Governor Darling. 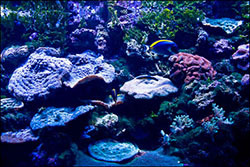 It’s a place for fun, restaurants, bars, cinemas and many attractions including the fabulous Aquarium. Enjoy! But the heart of the city is the harbour and no visit is complete without a least one water experience. 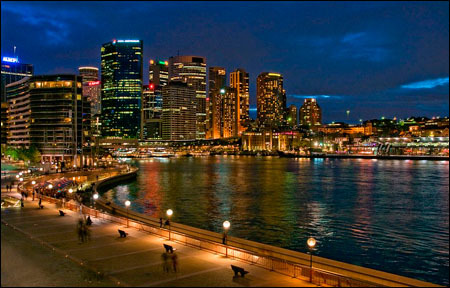 The starting point is Circular Quay where you can pick up various excursions to all points of the harbour. However don’t forget the state run Harbour Ferries. They run like clockwork, the fares are cheap, and if you take the Manly Ferry and/or the Rivercat to Parramatta, you’ll see some fantastic SydneySide beaches, coves, and mega properties! 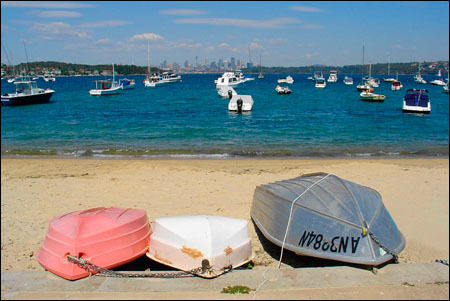 Take another ferry to Watson’s Bay – try the world famous Doyles Fish Restaurant on the edge of the water - and don’t forget the ferry from Circular Quay across the harbour to Taronga Zoo. Easy to spend a day there especially with youngsters. That’s a brief description of some of the city attractions but if you fancy a day out of town two destinations stand out. 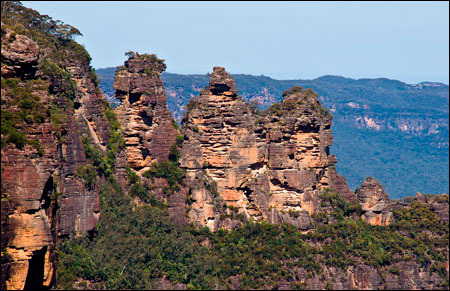 A trip to Katoomba in the Blue Mountains to the west, see the Three Sisters rock formation, and enjoy the coffees (flat white) and cafes in this lovely old town with its sister township Leura. 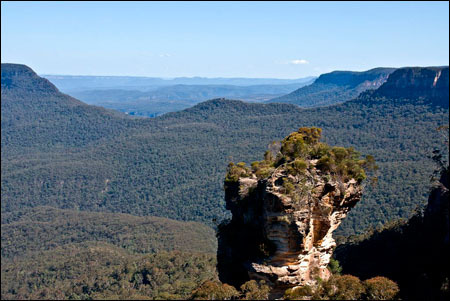 You can, of course, book the usual tourist day trip but the State Railway does a cheap day return to Katoomba which includes a sightseeing bus tour around the Blue Mountains. Heading north across the Harbour Bridge to the Northern Beaches with towns such as Avalon (setting for the Home and Away TV show) you eventually arrive at Palm Beach. 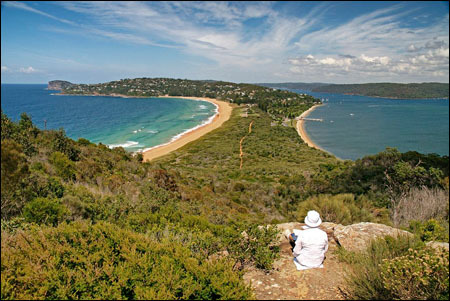 If you have the legs walk up to Barrenjoey Lighthouse on the top of the headland for a view second to none. One final word – of warning! The Sydney sun is very hot so wear a hat and sunscreen or else you will get burnt! 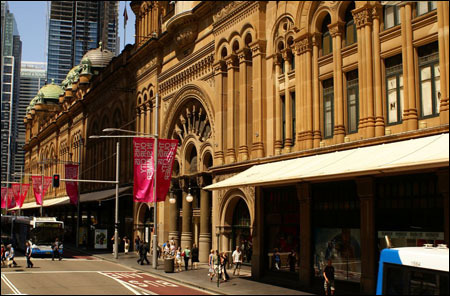 So I hope you enjoyed this whistle-stop tour of Sydney – if you visit you will not be disappointed. Larger sizes of these photos and a further selection taken on Ron's trip are in the Gallery of Better Photographs. More of his work is on his Website at - Ron Sutton Images. "You miss too much if you do not." With a temperate climate and more than 340 days of sunshine per year, Sydney's weather makes it an ideal place to visit year-round. 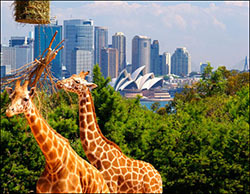 Summer (winter in the Northern Hemisphere) is the most popular time to visit, when the weather is warm, outdoor activities are in full swing, and huge events like the Sydney Festival create a buzz around the city.